Have you ever played the piano before? Do you have the interest in piano music? And do you want to learn how to play this instrument right now? If your answer is yes, I am going to introduce to you the online piano lessons where you can find them very easily. 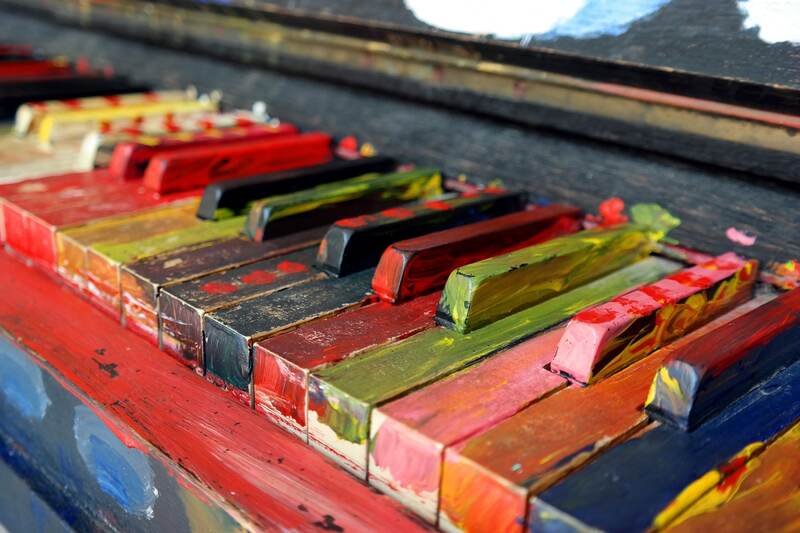 And of course, learning piano is good for everyone, especially for the kids since their brains will become flexible, adaptable, and able to form the connections easier. Moreover, the longer you practice the piano, the better you assimilate new information and learn new skills. Furthermore, people who play musical instruments tend to have a larger and more active memory situation in their brains. You may not know that music makes your emotional perception stronger and keep your ears as young as possible. That is why you should read this article instantly, and look for the best piano website, the free online piano app, as well as the online piano course. 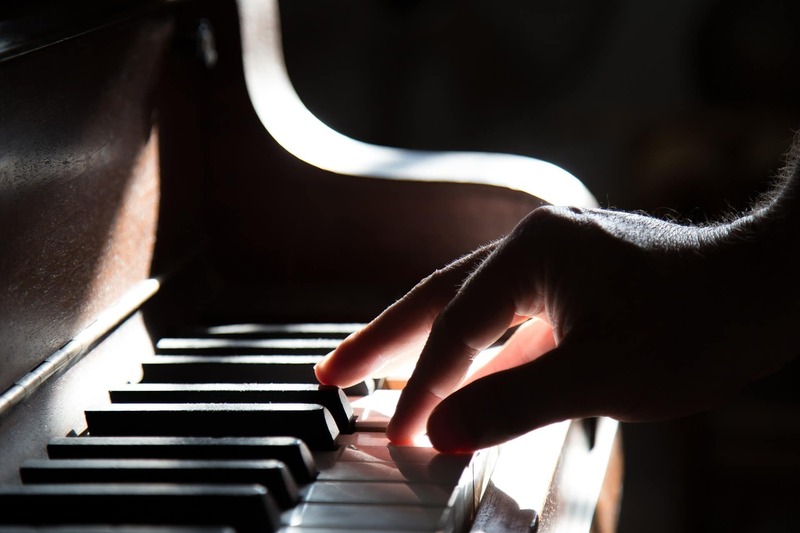 These incredible tools will help you how to master the keyboard and the sight reading for beginners and even the experts. As a result, do not hesitate anymore as you can receive more benefits than you think with this article. Let’s check it out! There are many reasons why music is attracting such an amazing attention of many people. In particular, you can relax your mind and refine your spirit. Moreover, you can enjoy your free time with your beloved people. However, some people are struggling with identifying the best way to learn music online. 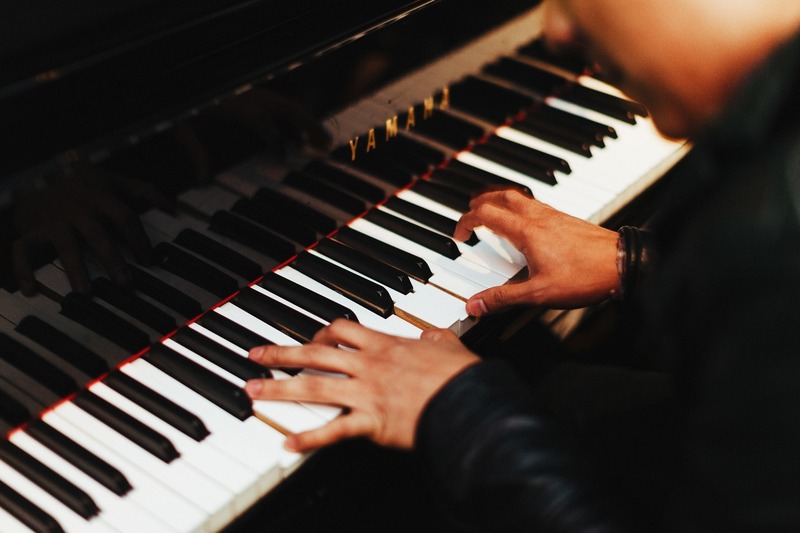 Therefore, I am going to show you some online instructional methods where you can even improve your piano skill for free. On top of that, you can have the overview of how to choose the most suitable method for yourself without any difficulties. Before getting to know how to learn piano online, you need to clarify the specific target that you want to achieve from the piano lessons. For instance, you want to satisfy your personal hobby or perform in front of the others. Moreover, you should know whether you can learn the online tutorials on your own or you need the help from any individual. And also, do not forget to determine how much time you can spend practicing the piano every week. By identifying these important factors, you can start choosing the best online piano lessons that suit you the best. The second step is to determine your budget for this hobby. Knowing how much you are willing to spend on learning the piano online is very important. It can allow you to select between the free method or the charging tutorial lessons. In particular, there are some tutorial sites offering the free keyboard lessons online, but the others tend to charge you a certain amount if you want to learn with a professional piano instructor. 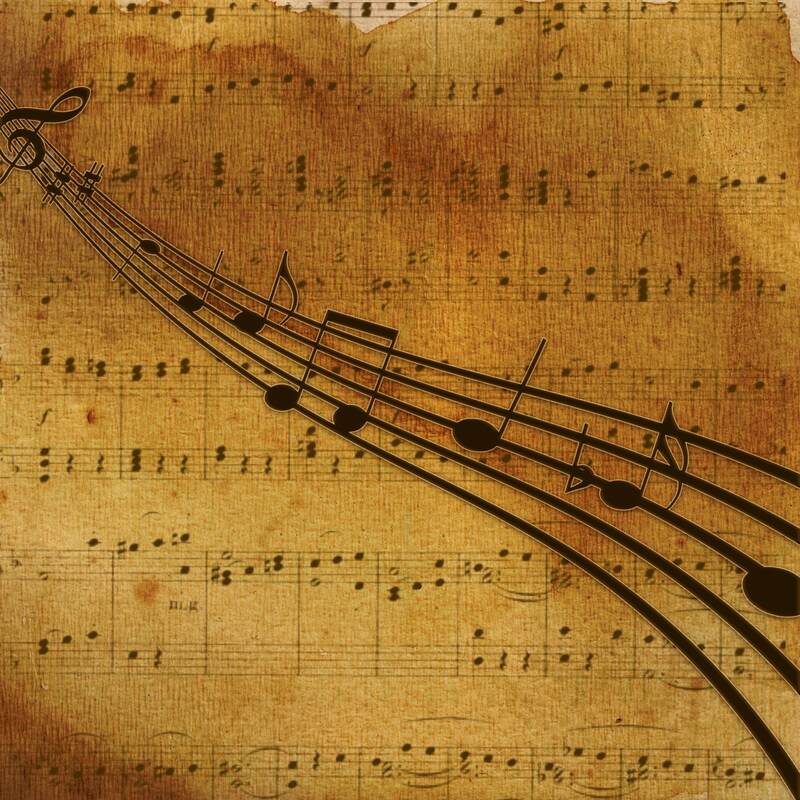 Moreover, you need to think of the costs of the sheet music as well as the piano tunings. In case you are tight on budget, you can think about learning the piano through YouTube videos in the beginning. You can watch the free videos there and understand the basic knowledge. However, the minus point of this method is that you cannot have the interactions together with the detailed feedback from the instructor. Finally, you need to consider among different online options including the instructional websites, the online courses, as well as the teaching app and software. But make sure that you will look for the trusted piano instructions by going through many places on the Internet. By determining your target and your budget in the beginning, it will be easier for you to make your final decision. In addition, you can go through as many sites as possible to examine their features and compare one another. Especially, there are some free sites which are very professional and educational. And well, for those beginners who may do not know, you should pay attention when searching the charging sites since they may offer some chances to try their lessons without paying any fees for the first time. If you think they are suitable for your learning method, you can start your subscription. And remember that there are some levels of subscription that you can choose such as the basic access or the premium access. As a result, you should consider your skills at that moment to choose the best level for yourself. If you are confused about your decision, you can always select the lowest level of subscription. This is a great tip to keep in mind because upgrading to the higher level is easier than downgrading to the lower level. 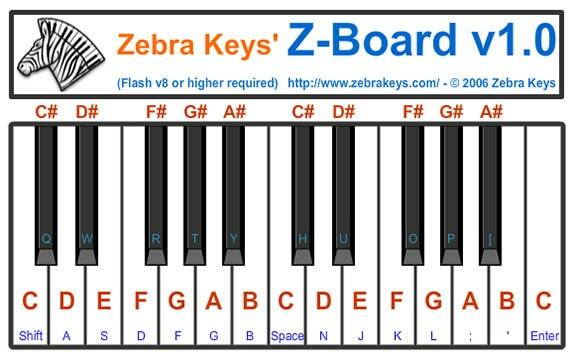 When it comes to the free online piano lessons, you need to remember the Zebra Keys. This is one of the most suitable piano websites for beginners since you can be easy to follow every lesson there. 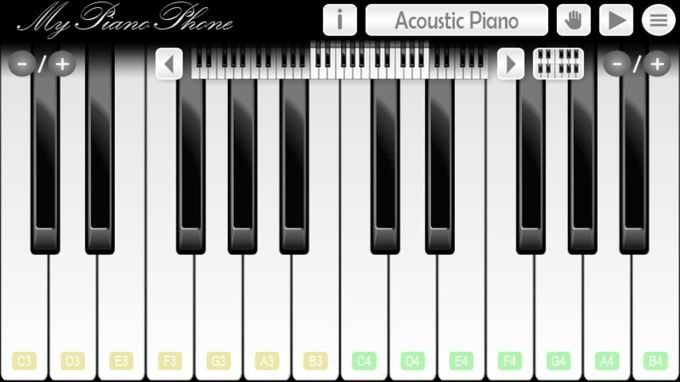 On top of that, there is an interactive piano keyboard which is attached to your lesson page. And when you feel that your skill is improved greatly, you can directly play piano online by using the Z-Board V1.0. It is a virtual keyboard that Zebra Keys designs to have all the notes as well as the chords shown on it. Many people tend to learn piano on YouTube, but there is another way that may be more effective that you do not know. And Piano Nanny will help you to do so. It will offer you the expert piano lessons without charging any extra costs. When going to this website and have the online piano lessons, you may feel like there is a professional instructor sitting next to you. Every lesson consists of the text together with the keyboard illustrations, which allows you to visualize what you should do. Plern Piano will bring you an addictive and unforgettable experience with the free piano lessons. It provides you with some special online tools such as the dual uses of both pianos playing and composing. In particular, you can download music from the MIDI file and then learn how to play a song step by step. 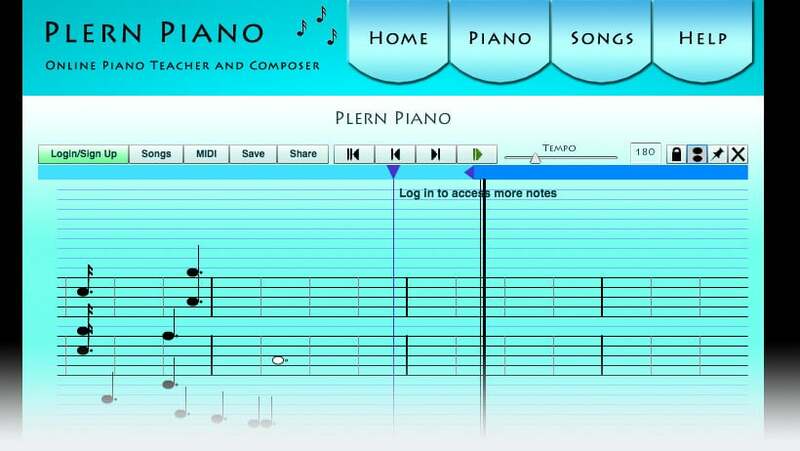 Plern Piano uses the graphical representation to explain the keys along with the duration of the notes, which will help you process the song easier. When talking about the free piano lessons, we cannot ignore BerkleeShares. Apart from the piano, you can also learn how to play the other instruments such as guitar, bass, as well as DJ training. This website will provide you with the short lessons and useful tips, which are very suitable not only for kids but also for adults. Music Theory is another free online content that can do a very good job at teaching you how to get familiar with playing the piano. There are a number of music utilities and thorough lessons, which can help you improve your skills quickly and effectively. I have to say that Playground Sessions is the right place if you are looking for the fun and easy method to know how to play the piano. You can have the most happiness and enjoyment when practicing the popular songs and taking part in the gaming elements. You can learn the basics and gradually go to the advanced level. Therefore, Playground Sessions can open up a new world of music for you thanks to the innovative program. And well, you only need to start with about $9.99 per month to experience all these incredible lessons. The next option for the piano is Hoffman Academy with many attractive features. You can get the basic knowledge with the free version. But when you are getting better, I highly recommend that you should increase your level up to premium with $18 every month. You can access all video lessons, keep track of your progress, and also have the personalized instructions for your current ability. With Artist W​​​​orks, you can get more than you expect. For example, you are able to access a diversity of video lessons that includes the lifetime experience of all the teachers. And then, when you get to the practice stage, you can have the personalized feedbacks for your efforts. Furthermore, you can interact with the other students and learn from them thanks to the Video Exchange technology. Another easy and simple method to learn piano online is Skoove. It will give you the great direction to start your piano playing. More importantly, you can understand the music theory as well as the proper technique to achieve the success quickly. You can use Skoove on your desktop, your mobile phone, or your laptop. Piano Explorer is an extraordinary name on this list. This website always introduces its teaching schedule with the specific teacher for every course. You can even register to learn piano in small groups, which is an opportunity to increase your communication and interaction. There are various piano courses on YouTube right now, but PGN Piano is still popular due to its quality lessons. You can learn up to 500 songs with the full instructions for free. So, this free course should be one of your top choices at this moment, and you can introduce it to your friends if you find it useful. Jane is another free piano lesson that you need to follow immediately. She is very excellent at producing the free tutorials for anyone who loves playing piano at home by themselves. As a consequence, why don’t you hurry to register this course instantly, and get your piano skill improved in the fast pace? When you decide to have online piano lessons, you should not forget the channel of HD Piano. Many people like this course since it provides you with the accurate and easy-to-follow tutorials. Moreover, you do not need to worry about the new songs since they tend to post the new lesson twice per week. The last one for the free piano lessons is The Online Piano. With the instructions from the professional performer, you can improve your technique and music knowledge quickly. And most importantly, everything in this course is free and simple to understand. When we discuss how to learn piano online, Online Pianist is one of the best places to satisfy your passion. This piano tutorial application is designed for all the users to have the perfect learning experience with piano. For beginners, Learn Piano in 30 days is a perfect course for you. This program consists of all the helpful tips and strategies on how to learn piano fast and efficiently. So, you can get accustomed to the notes as well as the keys in a short time. There is a low-cost trial period for those people who are confused about the real program. You can go through half of the process and then spend on the remaining course if you are really making progress. The second choice for the video lessons is Piano for All. Everything on this course is amazing and simple to understand. For instance, you can have the interactive e-books for different music styles which include the audio and video lessons. That is why Piano for All deserves to be one of the best courses for kids and for adults. Now, we are going to Udemy, which has earned its reputation for being the well-reviewed piano courses in the world. Many people are a big fan of this course since it is designed to choose the suitable songs for your specific skill. Thus, the students feel very secure and comfortable when going through the entire course. Do you know the piano course on Lynda? This massive website will provide you with the individual course that can be used permanently. You can start your access with the free trial and after that, pay a monthly fee when you are ready. You can use all of the available music lessons together with take advantage of the high-quality photographic software. With Piano in 21 days, you can challenge the traditional piano lessons. And I think that it is very suitable for dummies. You can forget the boring practice and become immersed in this fun teaching method from Jacques. Thus, do not get surprised when you can have the inspiration to improve your piano skill in less than one month. If you mention the free online piano app, Piano Maestro should appear in your mind at first. 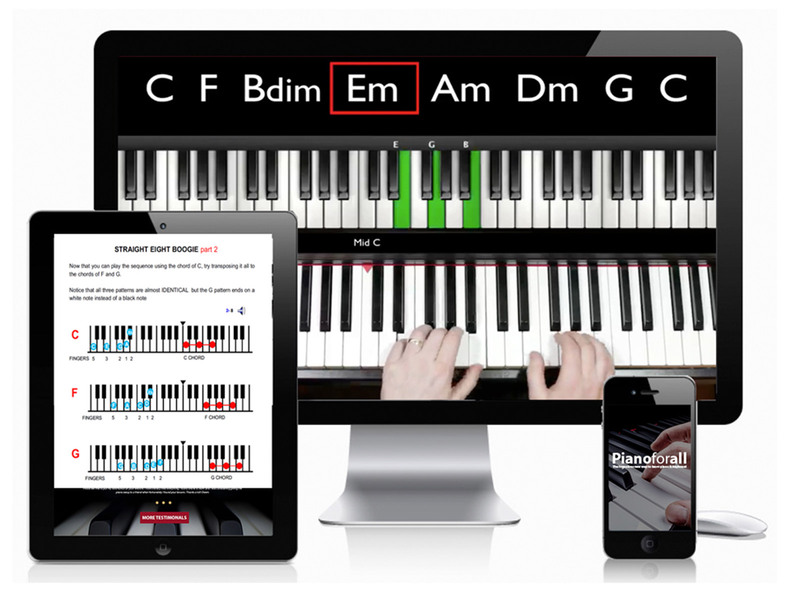 This is one of the most motivating apps for beginners since you can imagine the real piano in front of you. For kids, they are able to get familiar with reading the rhythms as well as playing the right notes. There is a learning option which is designed to play each song in small parts over and over again until you can understand. It is such an incredible source to get the free piano lessons that you should know with no doubt. Piano Dust Buster is a great method to introduce your children about how to play piano online. It is made for toddlers and kids exclusively, so your children can know the piano letter very well. Moreover, they can gradually know how to keep up with the beats and get used to the classical music. Going to Piano 3D, you can have the most realistic feeling of the grand piano from different angles. You can learn how to play the keys on an acoustic grand that not many people know. Besides, this app will provide you with a tremendous source of modern and classical songs. Hence, Piano 3D will give you the perfect experience with its online piano lessons. Scribd is famous for being a high-standard reading app, but you can also get various free sheet music there. However, the searching is a bit challenging so that this app is more suitable for adults. But if you try your best with this free app, you can find the greatest pieces without much time. 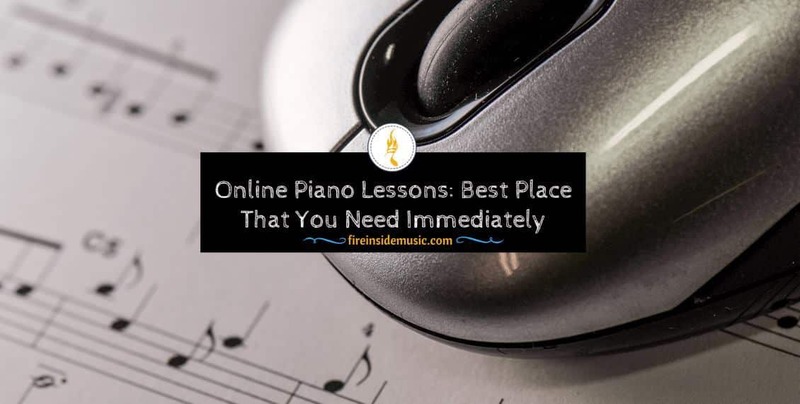 After that, you only need to enjoy your piano time with your favorite songs and I believe that this is a great way to learn piano online without spending any fees. The last free app that you can make full use is Garage Band. You can both install this app on either your computer or your smartphone. You can record the music with different kinds of instruments such as piano, drums, violin, and guitar. Also, you can adjust the synthesizer sounds before sharing it with your friends. The first name in the list of the paid piano tutorial app is Flow Key. The outstanding point of this website is that you can have the free trial option before actually making the payment. Moreover, you can get the cheat sheets during your learning period. So, do not hesitate anymore since the monthly fee is only from $9.99. Going to the next one, Yousician will exceed your expectations in terms of music enjoyment. 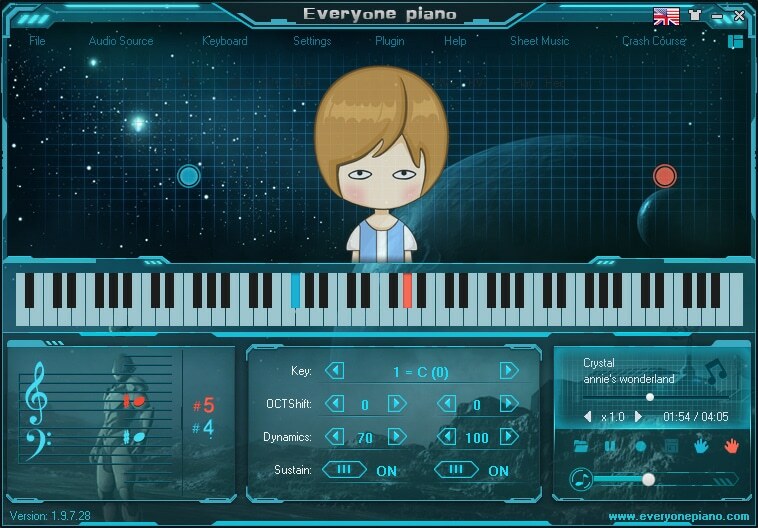 It is designed for anyone who likes to play piano online. Besides, regardless you are a beginner or an expert, you can enjoy your music and love every note that you play. On top of that, Yousician can assist you in discovering your personal music path and create your own music style. Good Ear is an interesting app which supports your ear training regarding the chords, scales, melody, along with intervals. This app is quite straightforward and practical so that you can easily select the lessons that you want to improve. For those people who are identifying the app for sight reading, Piano Notes Pro is your ideal option. You will love its look at the first sight, and amazingly, you can even personalize the background color based on your interest. Moreover, you can choose what kind of staff or notes you want to read. For instance, you can adjust them to be ascending, random or be descending. The final app is designed for teaching the rhythm, which is called Rhythm Lab. You need to go through 20 levels from easy to difficult with this app. And the cool feature is that you can practice the rhythm with the famous pieces from Mozart, Joplin, and even Bach. The first free piano teaching software that we should mention is Sweet Little Piano. With the minimalist design, you can have the virtual piano with the keyboard layout. You can also learn how to change the notes between flats and sharps properly. My Piano Phone is my next suggestion for anyone who wants to play the integrated songs and have the free piano lessons. You can have two keyboards at the same time, which is very suitable for your recreation. To learn piano online, you need to know Everyone Piano. It will offer you the real sound of the virtual piano as well as the pedals. Also, you can record your songs and customize your music score if you want. Another amazing online piano lesson comes from A73 Piano Station. It features an incredible interface which looks very professional. 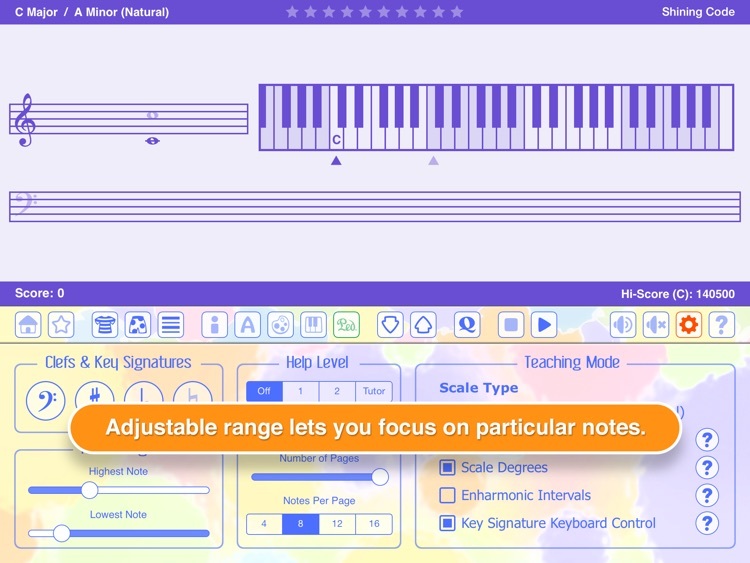 You can even practice your songs with the six-octave keyboard. The last one in this list is Virtual MIDI Piano Keyboard. This software is suitable for professional players and music producers. You can control the modulation together with the phaser depth perfectly. If you really want to master the piano, you should go with some paid software since they will give you the detailed instructions. And Synthesia is regarded as one of the best choices in the current market. No matter how good or bad you are, you will eventually find the interesting way to learn new songs. In particular, you can feel free to practice the piano on either your Windows or your Mac. Without much time and efforts, you can have this amazing software on your laptop to satisfy your music passion. Moving to another one, we cannot forget Piano Marvel because you will fall in love with this incredible tool instantly. It will allow you to practice playing piano with more than 1,500 songs plus the face-to-face instructions within 30 minutes. With only $15 each month, you can interact with your online teacher and track your progress frequently. Furthermore, you can share your experience and your improvement on Facebook and Twitter easily, which will become a great motivation for kids and adults. You will get very surprised when we mention Playground Sessions one more time. But it is worth mentioning for sure! 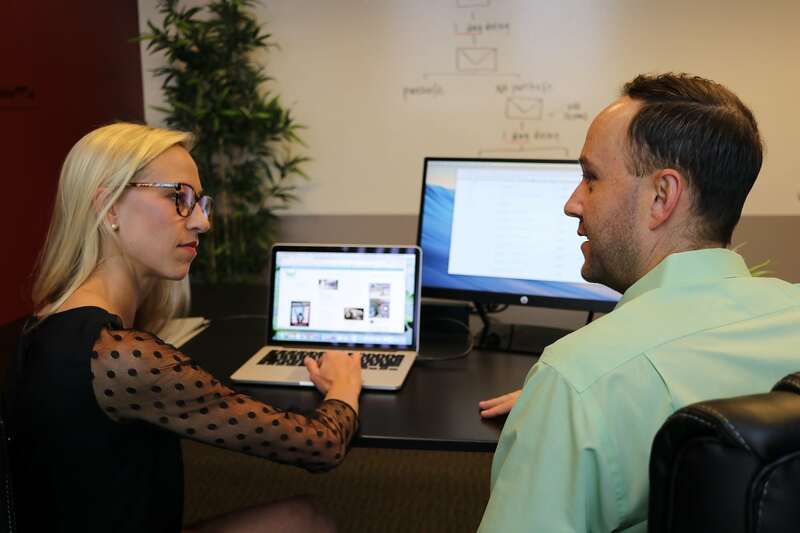 It will offer the piano tutor software that is designed for people of all ages and all skills. And you can use the digital keyboard that can increase your interactive chances during your practice. It is a special bundle that gives you the immediate advice on your mistakes in terms of rhythm and notes. In addition, you can have many necessary tools that support your practice including the recorder, the keyboard tracks, and the ear training exercises. Another version from e-Media is the package for dummies. It is the best item for the piano starter because you can learn the tempo, the right notes, and also the music notation. Moreover, you can get to know how to show your fingerings along with how to put your hands correctly on the piano. In summary, I hope that all of my sharing in this article will give you an overview of how to learn piano online. If you are freaking out all the time because of stress and anxiety, music is a natural relaxation method as it reduces your blood pressure, reduces the heart rate, and lowers your stress hormone cortisol. And of course, playing the piano music is pleasing to your ears and you can share these moments with your beloved people. As a consequence, by making full use of these websites, apps, courses, and software, you can have the best online piano lessons without spending much money, and sometimes for free. However, in case you have any confusions or queries, please feel free to keep in touch with me anytime.